After a maiden century on his Test debut, Prithvi Shaw will be opening the innings with KL Rahul, who didn't perform well in the first match. Indian cricket: Out with old and in with the new or play it safe? HYDERABAD: Board of Control for Cricket in India (BCCI) on Thursday announced 12-member squad for India, which will be playing the second Test match against West Indies from October 12 in Hyderabad. Shardul Thakur likely to make his debut, while Mayank Agarwal will have to wait a little longer to make his Test debut for the team. Cheteshwar Pujara, Virat Kohli, and Ajinkya Rahane will fill the middle order positions respectively. If India continues with the three-pronged spin attack, then Kuldeep Yadav is likely to keep his spot in the Indian team, with the other two being presumably occupied by R Ashwin and Ravindra Jadeja. 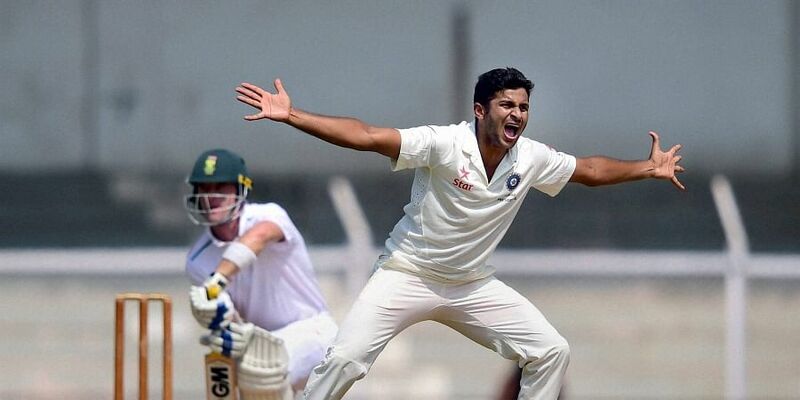 On the other hand, to add a third fast-bowler in the team, Shardul Thakur is likely to debut. Chances remain low for the young fast bowler. It is the last Test match before India heads to Australia for a full-fledged tour later this year. India Beat West Indies in Rajkot Test by an Innings and 272 Runs, Take 10 Lead in Two-Match IND vs WI Series. Squad: Virat Kohli (c), KL Rahul, Prithvi Shaw, Cheteshwar Pujara, Ajinkya Rahane, Rishab Pant, Ravindra Jadeja, R Ashwin, Kuldeep Yadav, Umesh Yadav, Mohd.Shami, and Shardul Thakur.